The Court of Appeal in Abuja on Friday reduced the prison term of former Plateau State Governor, Joshua Dariye, from 14 years to 10 years. The Appellate Court which reduced the prison term in a judgment in an appeal filed by Dariye, a serving Senator, held that the trial court erred in law when it handed down the maximum sentence on Dariye having convicted him on an offence of criminal breach of trust. Justice Adebukola Banjoko of a Federal Capital Territory (FCT) High Court in Gudu, had on June 12, 2018 sentenced Dariye to 14yrs imprisonment having convicted him on criminal breach of trust and criminal misappropriation of public funds. Justice Banjoko found the defendant guilty on 15 of the 23 criminal charges leveled against him by the Federal government. Banjoko in addition held that the sentences which are without option of fine would run concurrently. 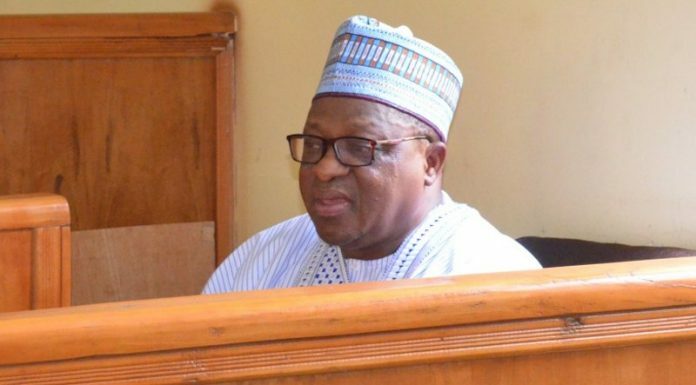 However, ruling on Dariyeâ€™s appeal against Justice banjokoâ€™s judgment Thursday, the appellate court in its judgment delivered by Justice Stephen Adah, held that though sentencing is at the discretion of the judge, the court must however take into consideration laws guiding sentencing. Justice Adah said, according to the provisions of the law, a first time offender cannot be handed down the maximum punishment on the offence of criminal breach of trust and misappropriation in which the appellant was convicted. The Court of Appeal, similarly reduced the two years maximum sentence of the appellant for criminal misappropriation to one year. The sentences however are to run concurrently. I smell barbecue on this!! !